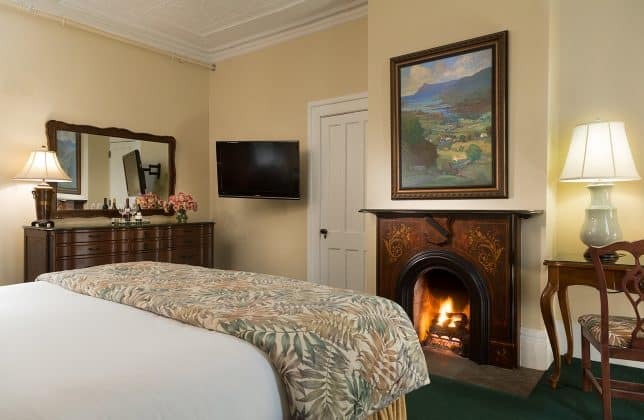 A King with a Fireplace features a meticulously restored fireplace at our romantic hotel in Saratoga, NY. 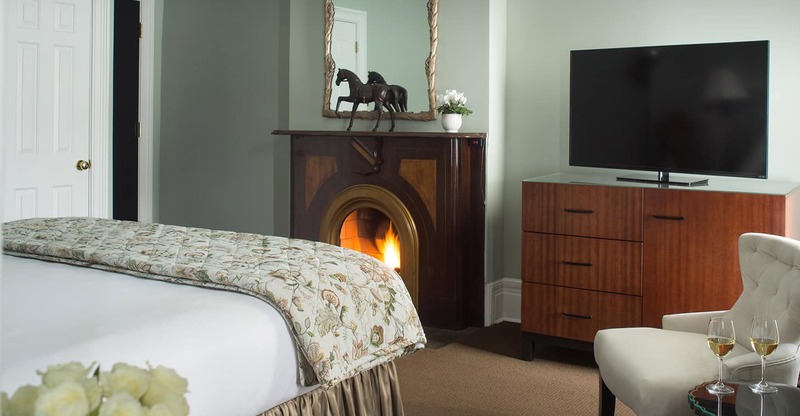 Bask in the inviting glow and warmth of a gas flame as you listen to soft music in a room in the historic 1870 section of our Saratoga Springs, NY hotel. The bathrooms have a tub/shower combination, some have an old fashioned claw foot tub, perfect for relaxing at the end of the day.